1200 square feet (111 square meter) (133 square yards) 4 bedroom budget friendly house with an estimated cost between ₹15 to 20 Lakhs. 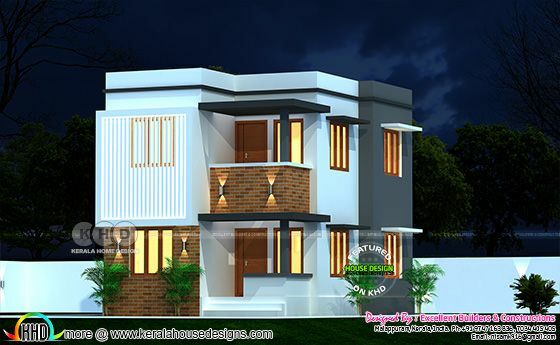 Design provided by Excellent Builders and Constructions from Malappuram, Kerala. Ground Floor Area : 600 Sq. Ft.
First Floor Area : 600 Sq. Ft.
0 comments on "Modern contemporary design, flat roof construction"